This Behind-The-Head style headset provides tough, reliable, 2-way radio communication and can be used in applications including auto racing, industrial / heavy equipment operation, recreational off-roading and much more! 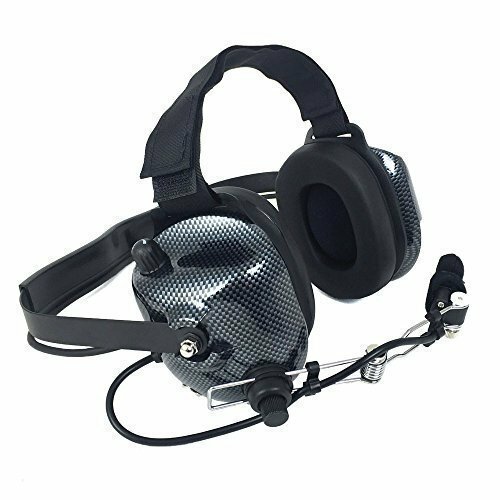 Designed for use with a two-way radio or intercom, this headset can keep you communicating even in high noise environments. Features a DNC microphone for clear transmissions and Clear Hear speakers for unsurpassed audio performance. Rugged headsets are built to perform in extreme noise environments - combining the latest technology with firm, yet comfortable fit for optimum communication. The 5-pin port on this headset allows you to use virtually any handheld radio on the market using a radio specific jumper cable (these are sold separately as there are many different connector types depending on the radio being used). These headsets are designed to be used with a separate communications device (2-Way radio, intercom, etc. ).